Styled with fletcher skirt . 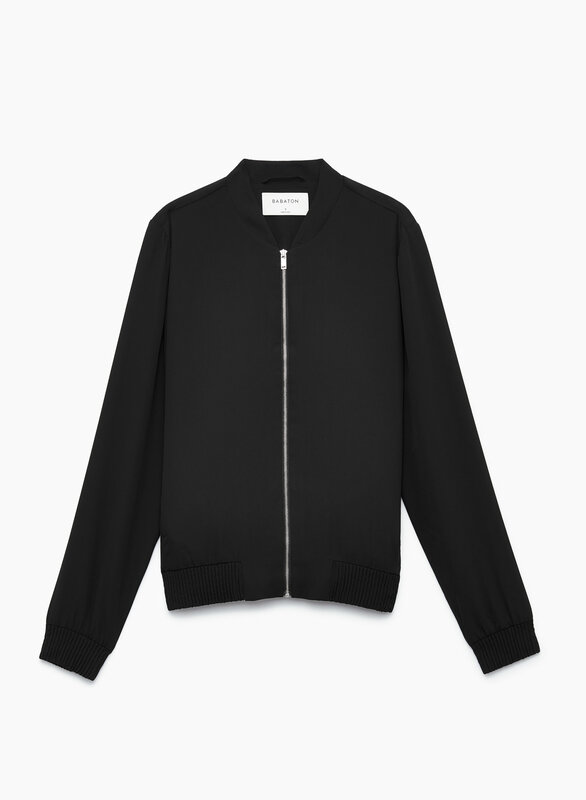 Slimmed-down and modernized, this is Babaton's take on the bomber silhouette. It's tailored with a sleek, lightweight fabric, so you can layer it under a coat when temperatures drop.